Foreclosure mediation is neutral ground where two disputing parties meet, in an effort to solve their differences. 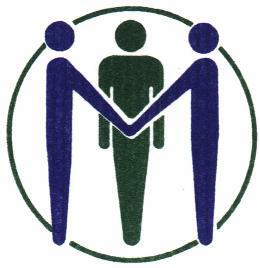 The mediation is guided by a mediator, who will listen to both parties. It is not the job of the mediator to take a side. However, it is his job to suggest creative solutions that should benefit the borrower and the lender. During the foreclosure mediation the mediator will keep both parties focused on the issues at hand, relay any messages between legal counsels and clarify any concerns. The mediator will also handle any offers, counteroffers or proposals between the two parties. The mediator who guides the mediation will remain objective throughout the entire process. Most are Judicial Branch employees, who are well-versed in foreclosure law. In addition, they have been trained in regular mediation as well as foreclosure mediation. Before the foreclosure mediation begins, the mediator will hold a private caucus with each party to discuss a feasible solution for each. When the mediation starts, the borrower will meet with mediator, the attorney for the lender and the lender's representative. Because the mediator has already heard the suggested resolution of both sides, he will attempt to marry the two arrangements during the mediation. If the union of the arrangement is a success, the mediator will prepare a foreclosure mediation settlement for each party to sign. The lender will be satisfied and you will still be a homeowner. Foreclosure mediation is not always a success. Some lenders are not interested in resolving the dispute, they are just participating in the foreclosure mediation because they may be required to as part of the foreclosure proceedings. However, there are quite a few lenders who are willing to negotiate with homeowners. Reason being, lenders are in the mortgage business to sell homes, not to take them. A homeowner who is facing foreclosure can apply for a Foreclosure Mediation Program. The application process is different for every state. To find out how to apply in your area see the Resources section of this article.